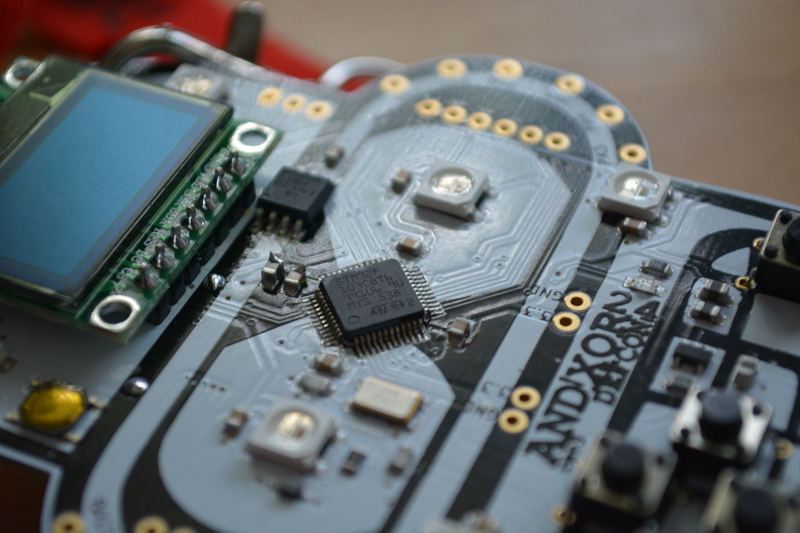 For her Hackaday Prize entry, [ThunderSqueak] is building an artificial intelligence. P.A.L., the Self-Programming AI Robot, is building on the intelligence displayed by Amazon’s Alexa, Apple’s Siri, and whatever the Google thing is called, to build a robot that’s able to learn from its environment, track objects, judge distances, and perform simple tasks. As with any robotic intelligence, the first question that comes to mind is, ‘what does it look like’. The answer here is, ‘a little bit like Johnny Five.’ [ThunderSqueak] has designed a robotic chassis using treads for locomotion and a head that can emote by moving its eyebrows. Those treads are not a trivial engineering task – the tracks are 3D printed and bolted onto a chain – and building them has been a very, very annoying part of the build. But no advanced intelligent robot is based on how it moves. The real trick here is the software, and for this [ThunderSqueak] has a few tricks up her sleeve. She’s doing voice recognition through a microcontroller, correlating phonemes to the spectral signature without using much power. The purpose of P.A.L. isn’t to have a conversation with a robotic friend in a weird 80s escapade. The purpose of P.A.L. is to build a machine that can learn from its mistakes and learn just a little bit about its environment. This is where the really cool stuff happens in artificial intelligence and makes for an excellent entry for the Hackaday Prize. If you were to create a Venn diagram of Hackaday readers and oscilloscope owners the chances are the there would be a very significant intersection of the two sets. Whether the instrument in question is a decades-old CRT workhorse or a shiny modern digital ‘scope, it’s probably something you’ll use pretty often and you’ll be very familiar with its operation. An oscilloscope is a very complex instrument containing a huge number of features. Modern ‘scopes in particular bring capabilities through software unimaginable only a few years ago. So when you look at your ‘scope, do you really know how to use its every feature? Are you getting the best from it, or are you only scratching the surface of what it can do? [Alan Wolke, W2AEW] is an application engineer at Tektronix, so as you might expect when it comes to oscilloscopes he knows a thing or two about them. He’s spoken on the subject in the past with his “Scopes for Dopes” lecture, and his latest video is a presentation to the NJ Antique Radio Club which is a very thorough exploration of using an oscilloscope. The video is below the break and at an hour and twenty minutes it’s a long one. We make no apologies for that, for it should be fascinating in its entirety for any oscilloscope owner. Even if you find yourself nodding along to most of what he’s saying there are sure to be pearls of ‘scope wisdom in there you weren’t aware of. [Pepijn de Vos] was excited to interact with the world’s most popular augmented reality pedometer, Pokemon Go, and was extremely disappointed to find that his Blackberry couldn’t run it. Still, as far as he could tell from behind his wall of obsolete technology, Pokemon Go is all about walking distractedly, being suspicious, and occasionally catching a Pokemon. That should be possible. Not a stranger to hacking Pokemon on the Gameboy, [Pepijn] put together a plan. Using his TCPoke module, he took it a step further. Rather than just emulating the original gameboy trade signals over the internet, he hacked a Pokemon Red ROM with some custom Z80 assembly to add some features to the Cable Club in the game. After some waiting for the delivery man to bring a flashable cartridge and along with some Arduino code, he could now translate the steps he took in the game to his steps in the real world. Well, mostly. He could pick the location where he would like to catch a Pokemon. The character stands there. Somewhere around 100m the game will trigger a random pokemon battle. [Pepijn] is now no longer a social outcast, as you can see in the video after the break. On a simple trip to the grocery store he caught two Pokemon! There’s something irresistible about throwing Pokeballs at unexpectedly appearing creatures. But wait. When did you actually, physically throw a Pokeball? Swiping over colored pixels wasn’t enough for [Trey Keown], so he built a real, throwable, Pokemon-catching Pokeball for Pokemon Go.